Posted November 3, 2018 at 8:11 pm . 1 comment. 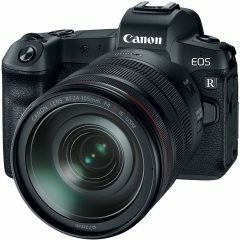 Our street prices on the EOS R continue to improve. The camera (both body only and kit) come with a free EF-EOS R mount adapter, and are discounted, brand new from Canon authorized dealers, with free shipping. Please inquire for the full details. The free adapter makes this a much more tempting offer. For anyone who might have been looking at a 6D I would say go for this deal instead. The R will outdo the 6D in just about all categories except battery life, and the CIPA ratings are likely way off anyway. The AF point spread and evf alone are enough for this to trump the 6D. If you were looking at a 5DmkIV, well, that is not so cut and dry. The R is not much of an action camera, lacking in both burst as well as continuous focus in burst mode. The 5DmkIV is still a better choice for action. For portraits though, it will be just as good, better if you count the evf advantage, and if you get the RF 50mm f1.2. They both have the same crop in 4K for video, but the R has two advantages. One, it has stabilization, but it’s the digital kind that further crops the image. Two, with the adaptor you can use EF-S lenses, which offers some inexpensive options to help overcome the crop (10-18mm ftw). I personally want to wait to see the next offering, but there most certainly is a place for the R in the Canon line up.